The time is ripe for something new. Act in accordance with this cosmic impulse and people will follow your lead. Avoid getting roped into colleagues’ battles at work. This isn’t your grievance. A retrograde can signal a lightening up of energies, a loosening of the hold that the planet has over you. 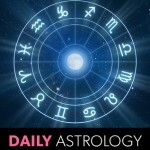 Pluto retrograde signals an improvement in your partner’s finances. Pluto energy peels back the veneer to show the true person underneath. This energy is more intense than you’re used to, but it also forges the ties that bind. Pluto retrograde shows you being dragged back into a situation you promised never to go near again. This means traveling a rough road until Sept. Remember that Pluto rewards those who brave its trials. Divulging is never easy but you’ll get support and understanding in return. Not only will you feel relieved, you’ll also feel empowered. You cannot succeed without respecting those who have equal say in your life. Honor that and you can’t go wrong. Obsessing about something you can’t have? Then pull the plug. You’ll be happier and healthier without it. Help is on the way in the guise of an unforeseen opportunity, person, or agency. Your faith in the impossible is about to be rewarded. It hasn’t been easy struggling with intensely personal issues in your relationship, but if you’re still together at this point then you’re set for life. Make time for loved ones in the weeks ahead. They need to know that you care. You’re experiencing a shift in cosmic energies that moves your hopes and dreams off the shelf and into your shopping cart. All you have to do is push the buy with 1-click button.